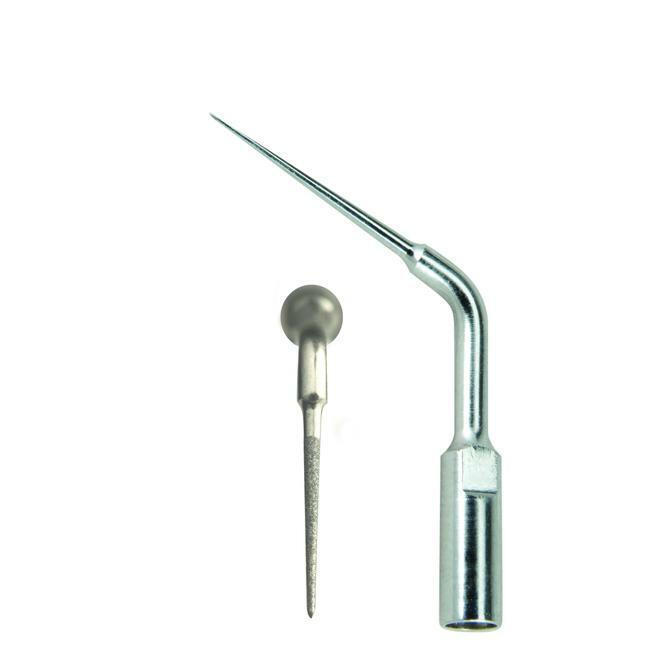 Applications include: refining axial walls, caries removal, cleaning pulp chamber, sanding dentin, finishing access cavity and sanding and finishing restoratives. 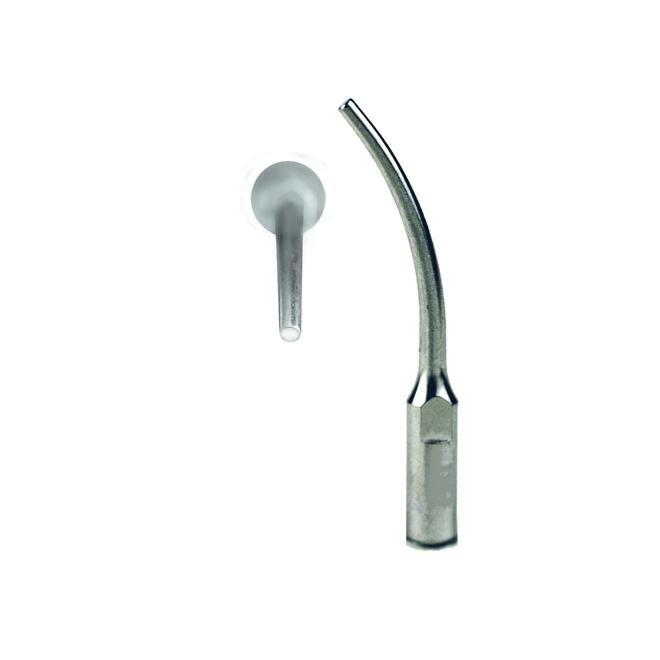 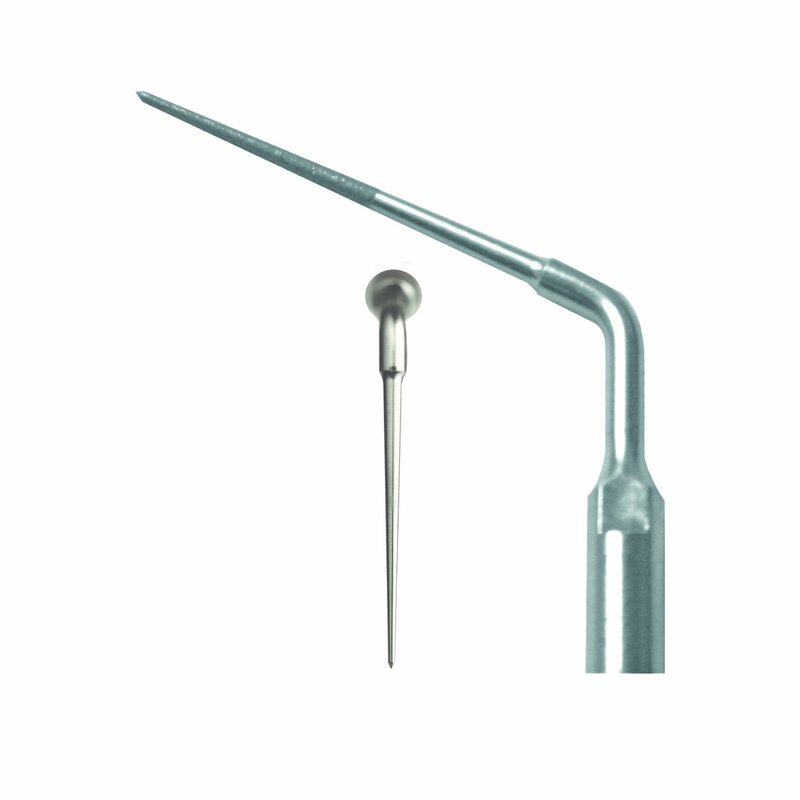 GE20 / GE20D - 20mm tip to bend: Available with or without diamond-coating. 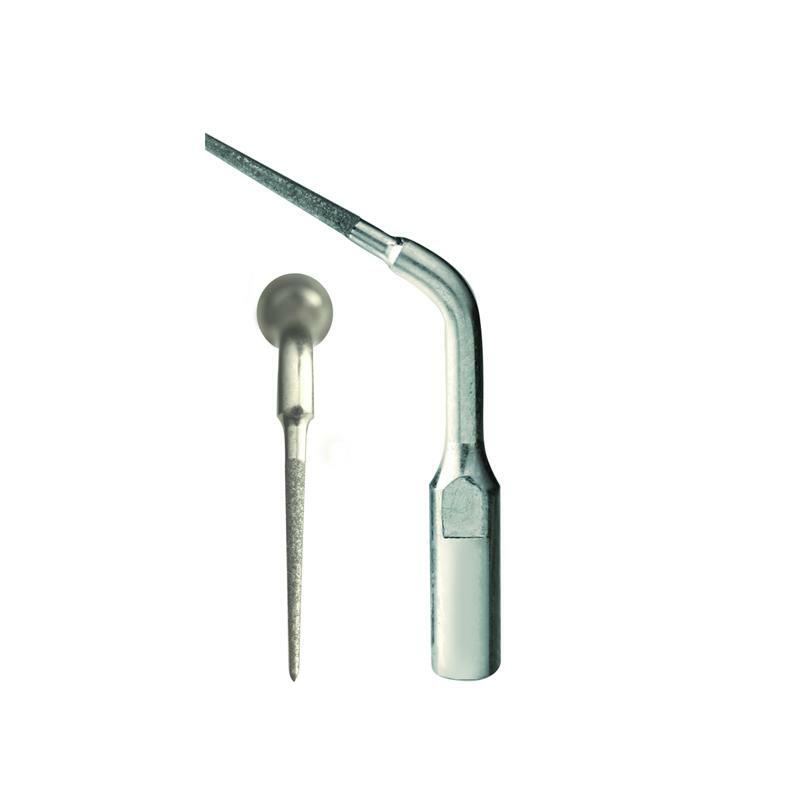 Compare to Ultradent: Ultrawave ET20 Tips. 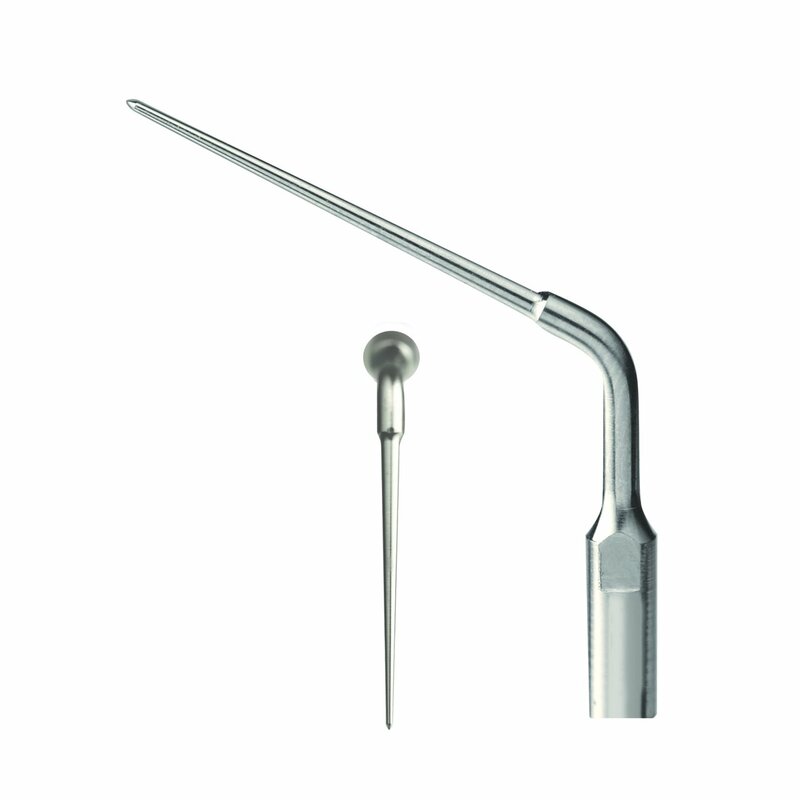 GE40 / GE40D - 40mm tip to bend: Available with or without diamond-coating.